For clients whom are already in a nursing home we can provide an extra level of support to improve their quality of life. Our staff will act for the clients they visit. We can provide a valuable quality check on the facility and the routine care they are providing on a daily basis. Age Care Homes are usually well organized and run, but they are all prone to lapses in the quality of the staff, care and food they provide. 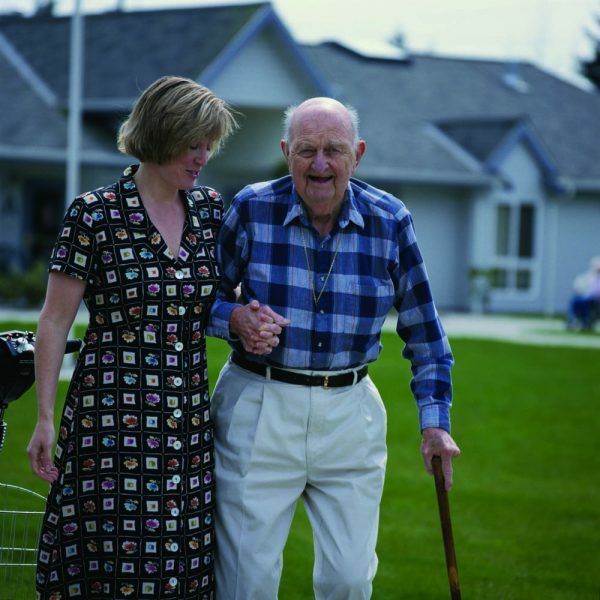 Carers in these organizations are usually excellent but can be hamstrung in their efforts to provide quality personal service and extended personal interactions by management systems which are providing services on a cost basis model. Our staff are frequently requested for visits in Hospitals and nursing homes. These visits provide a valuable opportunity for assisted outings, companionship, shopping trips and to help re-engage your clients in the real world. Elderly, confused, demented and the ill clients of aged care facilities can all benefit by having an independent visitor to monitor the care and service that they are receiving. Our staff can be the advocate for the client, where necessary, to smooth out the occasional problems that can arise. Our company is the ‘Rolls Royce’ in the field of community based aged care and our Social Assistance staff can help provide a bit of extra comfort to clients already in a nursing home. Remember, the squeaky wheel gets the oil. We are a proven local business with a long history of operation. Queensland Owned and Operated providing jobs for Queenslander’s where all decisions are made locally.